1. Perform three items, each to last at least 3 minutes, from the following: dancing, singing, playing an instrument, reciting. Note: The items may be of the same kind e.g. 3 contrasted songs. The standard is to be very high and suitable for a public entertainment. 2. 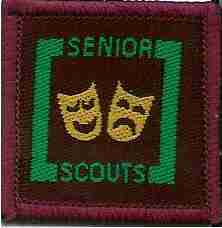 Entertain Scouts for 12 minutes with at least three of the following (other than items performed in Part 1): conjuring tricks; magic; juggling; playing whistle, guitar or other portable instrument; character sketches; stories; songs with chorus; mime; jokes. Note: The standard need not be so high as in (1), but suitable for a parents evening or camp fire. b. Design a stage costume.